Dry Brushing: Benefits and How To Use It The Right Way? Our skin is the largest organ of our body and there is nothing new in this statement. Our skin is also the most delicate and sensitive part, which requires intensive care and cannot be treated just like the other. Adding to the minuteness and complexities our skin has different textures and type. Some are sensitive, some dry, normal or a combination. Each one needs its own kind of treatment. There are several creams, ointments, medicines and even syrups available in the market today that focuses on skin diseases and issues. Along with them, there are numerous remedies and techniques to these situations. One of them is Dry Brushing. What Kind of Brush to Use for Dry Brushing? What do you do when part of the body goes numb? Well, you press, rub and rotate fingers on that part to restart the blood circulation. Drying brushing exactly does the same. It is a wellness technique with which one runs a soft-bristle brush on body parts in order to increase the blood circulation and flow. The sole purpose of using dry brushing is to get rid of toxic elements. There are numerous benefits of the dry brushing. It helps eliminate cellulite and space away from the exfoliate to have you with well-toned, soft, and hydrated skin. Dry brushing might just seem a general routine technique. And also often people confuse it to get softer and brighten skin, basically the aesthetic value to the skin. However, dry brushing has lot more to offer. Dry brushing might not completely remove the issue or gets rid of the infection, however, it does help in reducing the effects and stopping it from growing. Although there is no substantial scientific evidence of dry brushing having standardized benefits, almost all the cultures around the world are found to have one or the other technique of dry brushing in use. The very fact that every society employs dry brushing, denying it’s health benefits would be plain foolish. Blood circulation is a major up for dry brushing. Besides, dry brushing helps reduce toxins not only from the skin but also from internal organs as well. It has capabilities of rejuvenating the nervous system. It affects the fat mass in the body and thereby contributes to weight loss. Most importantly, taking gentle care of yourself and pampering yourself right in the morning leaves positive reflections throughout the day. Cellulite is the lumpy flesh on the thighs. There are definitely certain exercises and medicines that doctors recommend in order to get away with the cellulite. But if you are not certain about the medicines, you can always switch over to dry brushing. Dry brushing for cellulite is very beneficial. It is one of the easiest home remedies and often people are in praise of the dry brushing technique. Definitely, there are certain rules to be followed while you are dry brushing the thigh portion. Always move your brush in circular motion. Usually, the layman is more worried about the blood veins but rarely knows about the lymph system, which is much bigger than the arterial system. The job of the lymph system is to carry away the toxic elements from each organ of the body. In order to perform its job, the lymphatic system needs movements, which can be provided by the dry brushing. It’s unimaginable how two minutes of dry brushing can transform your life. There are some definite benefits when your lymph system gets going using a dry brushing. Often in the hurry to lose weight you majorly focus on burning your fat. Exercises does help you with it and you may also see positive results in a month or so. However, by the end, you might have sometimes noticed that around your belly area or buttocks, there is a portion of loose skin. The question isn’t about the excess skin but is it curable? Yes, it definitely is and without the intake of any medicines. Keratosis Pilaris – is the condition in which there is a rough patch on the skin and acne-like bump, also known as the chicken skin. Often people get irritated of finding and applying remedies in order to get rid of Keratosis pilaris. But a very few know that dry brushing does not only exfoliates your skin but helps you cure the keratosis pilaris too. Due to mosquito bite or due to the weather or the sensitive skin often is prone to eczema. Eczema is often occurring in small kids. There are times you itch in an area too much and therefore, the skin undergoes inflammation. 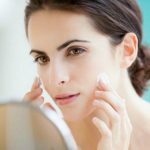 The redness and dryness of skin might get cured after application of ointments, but dry skin brushing is one such technique that will improve the circulation of blood and will also help you get softer and smooth skin. Following steps should be kept. Always use a brush that is soft and gentle. Choose the correct brush for the process. Wash the brush nicely to remove the bacteria so that there is no side effects and infections caused on the skin. Dry brushing for eczema detoxes the skin and increases the blood flow. Being pregnant and giving birth to a baby, however surreal this may sound, you need to more careful towards yourself. This invites to several skin related issues like stretch marks. Now once the baby is out, the weight you gained during pregnancy, it’s time to lose it. Some people gain weight too fast and lose weight with the same speed and in others, the case is vice versa. One of the easiest and most prominent ways to get rid of stretch marks is dry brushing. Move your brush in circular motions. This will not just help in reduction of marks but also remove the dry and dead skin and increase the blood flow. Sometimes on the face and legs, you see purple or green colored veins clustered. They look like a spider’s web and hence the name spider veins. Now massaging, medicines and several other techniques might not help you in curing the spider veins. Along with them, you can also try out dry brushing. Dry brushing will not take a lot of time. Just a few minutes before the shower you need to brush your feet upward. Similarly, you should brush your hand from wrist to shoulder. You also should brush your back. The sole purpose to move lymph fluids towards the heart to ensure lymph system, as well as arteries, work in rhythm to take the toxins away and to infuse fresh blood and oxygen into the body system. Once you are done with the brushing, just finish it up with a regular shower and get over with it having a hot-cold-water cycle. There are many things to worry in this world. Among those, the most worrisome for any woman is ingrown hairs. The major issue has always been the fact that our ladies never come to know immediately about ingrown hairs in the open body part. Only when someone points out, we realize about the ingrown hair to our embarrassment. Waxing everyone finds the easiest solution, but it leaves marks and possibilities of the reappearance of the hairs. However, weird, Dry Brushing offers definite results for the ingrown hair. Remember, if you had a bikini wax do not dry brush the very next day. Wait for at least two days before you begin your dry brushing routine. Due to the bite of a mite called Sarcoptes scabiei, the bearer gets a lot of problems. These include – skin irritation, itching, pain, and redness. There are various times that people apply ointments and take medicines, which have side effects. When it comes to skin treatment very few take chances. Therefore, dry brushing is one such technique that does not have any side effects and would not harm your skin. When you dry brush all you have to remember is to be gentle and soft. The movement should be circular and towards the heart. This method increases the blood flow. With dry brushing slowly and steadily you will get rid of the patchiness, redness, and rough skin. All the more you can continue with the dry brushing on a daily basis as well. Even after reading this informative article on dry brushing, it hasn’t yet become a part of your daily life, rest assured you are missing big privileges. Dry brushing should be followed by everyone as it consumes no money either time and still offers rich benefits. But, the most important part of dry brushing is the brush itself. Brush and its bristles pay a critical part of success or failure in having benefited from brushing. You brush, to start with, should not have synthetic, chemical-made bristles, instead, it should have bristles made of animal hairs, which are not chemically induced, neither harsh on the skin when applies. One must think of having a brush to which an extra accessory can be attached. The reason being, reaching all the area of the back sometimes gets really difficult. A long handle may help you reaching and brushing those parts where usually hands do not reach.Moreover, it would be great if your brush has a wooden base to hold on to bristles for a long time. 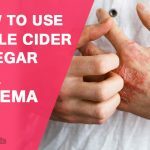 When it comes to getting rid of a particular disease or skin infection, there are innumerable techniques and remedies. However, dry brushing is not just for these mentioned problems but one can easily bring this technique into their routine. A little pampering to your skin, the natural way, is always fruitful. 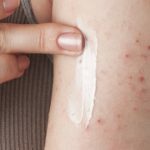 The best part about home remedies or DIY techniques are that they have no side effects, and also if the technique isn’t suiting your skin type, it isn’t harming you either. So, instead of immediately offering your skin to any oil or ointment, you should try out dry brushing. Of course, if the issue expands you should also not be late in referring a dermatologist.